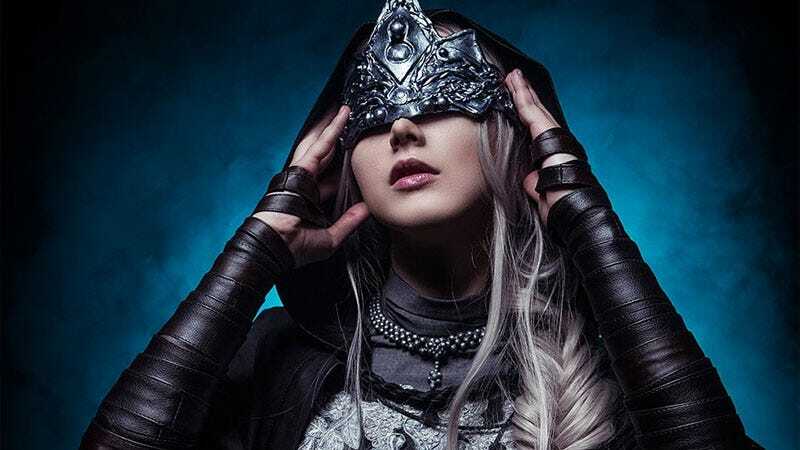 This is Russian cosplayer niamash (whose Witcher work we’ve featured before) as Dark Souls 3's Fire Keeper. You don’t see much Dark Souls cosplay, I’m guessing because the character design is so crazy that replicating many of the costumes would be so hard/expensive that it puts most cosplayers off. Not in this case.